This was a ladies' medium size sweater, loosely knit, with embroidery on it. I didn't know how it would turn out or what I would use it for, but I bought it on the gut feeling that something good would come of it. 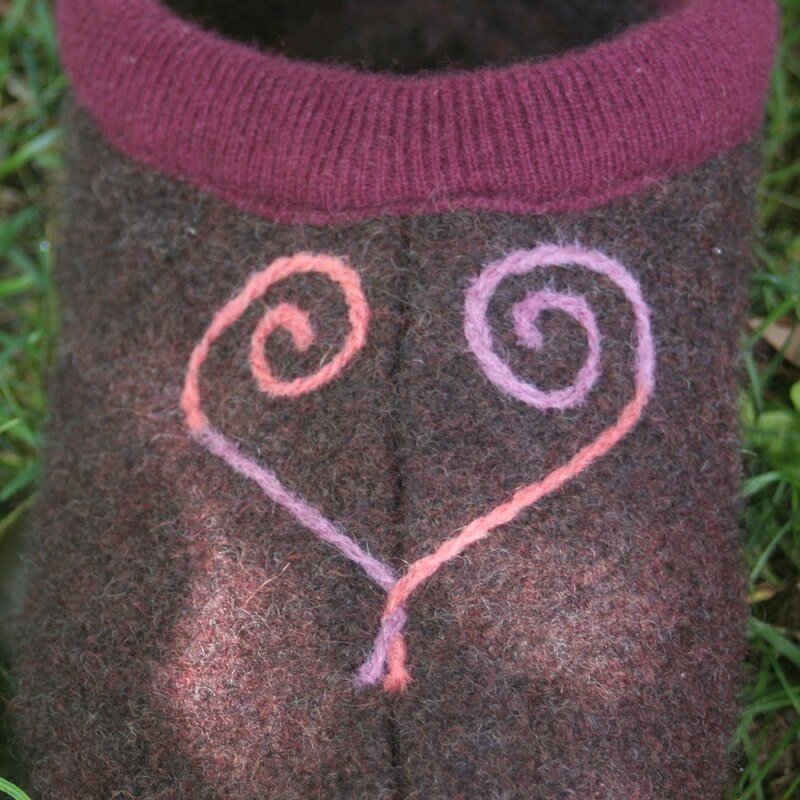 I think I only had to put it through one felting cycle. It's now about a girl's size 6, I think, and the weight of a boiled wool jacket. 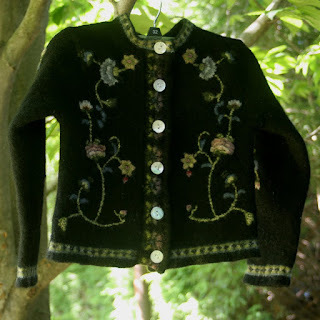 The embroidery felted beautifully and I think the jacket has a Tyrolean or gypsy air to it now. It'll look gorgeous on some little girl. 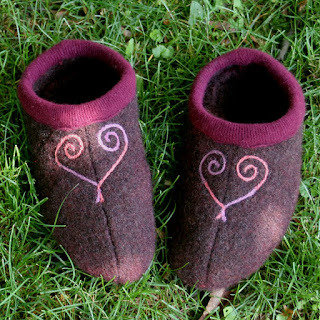 Yesterday I was contemplating doing a needle felted design on the brown clog slippers, and here is what I came up with. I had great fun doing this, and then going out in the sunny yard to take photos, and so I am feeling very blessed to have work I love doing. I love them, they are so beautiful!! :) Great works!! Thank you! I wish I had a little girl to wear that jacket!